Mobile Work Platforms with the safety and stability of a fixed platform. The MP Series is a highly mobile work platform designed to bring the workspace and stability of a fixed platform to a rolling stair mobile unit. With a large 9′ x 3′ work platform, it can securely and safely accommodate multiple operators and their equipment and parts. 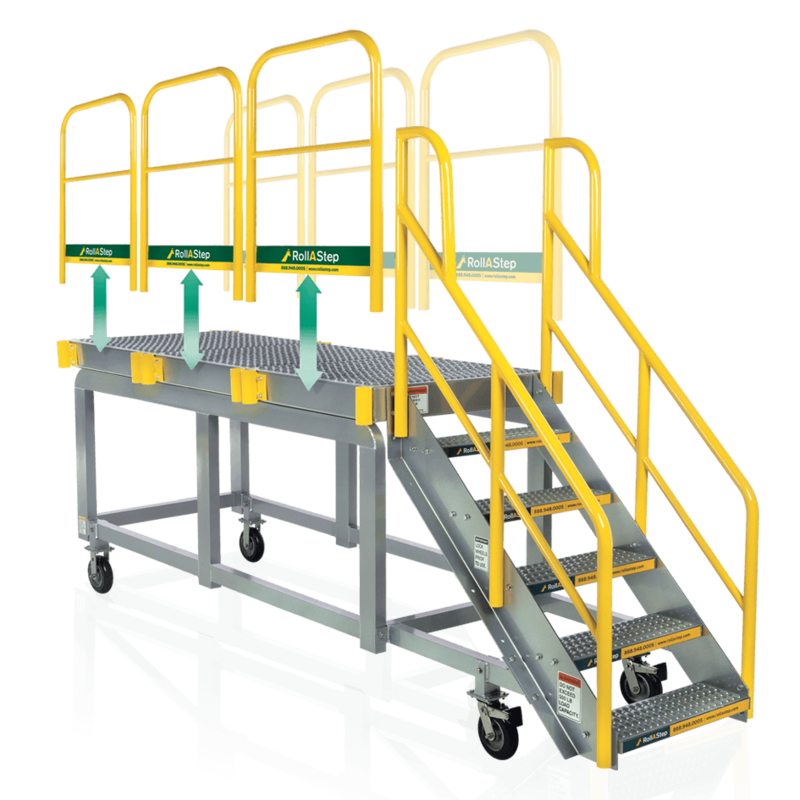 The powder coated handrails, full size 45° rise stair stringer, and standard width and depth steps meet OSHA specifications for mobile work platforms, while the lightweight aluminum construction maintains single user mobility. Optional removable handrails give the MP series mobile work platform unparalleled versatility. Remove the cantilever end handrail to access an area over an obstruction, or remove an entire side to access a flatbed trailer.